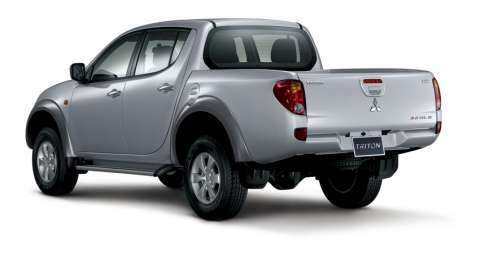 Mitsubishi Motors Corporation (MMC) announced today that the export of the new Triton utility trucks produced at Mitsubishi Motors (Thailand) Co., Ltd. (MMTh), its local unit in Thailand, are to move onto a full-scale footing in the second half of 2006. The commencement of full-scale exports announced today follows the start of Triton shipments to Europe (known as L200 in Europe) in December 2005. The Triton is to be shipped a total of about 140 markets around the globe, including Australia, the Middle East, Latin America, the ASEAN region, and Japan. Developed as a global model and launched in Bangkok on August 25, 2005, Triton has been well received in Thailand for its passenger car-like ride comfort, powerful common-rail direct injection diesel engine, and its original styling, with post-launch cumulative sales totaling 16,300 units at the end of January 2006. Mitsubishi Motors increased its share in the Thai utility market to 8.5 percent in calendar 2005, up 0.6 points on 7.9 percent in 2004. 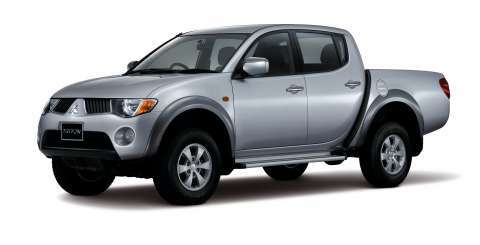 Mitsubishi Motors has been exporting vehicles produced from Thailand since 1988 and became the first manufacturer in Thailand to reach cumulative total exports of 800,000 vehicles (as of January 2006). As such Mitsubishi Motors has made and continues to make a major contribution to the Thai economy by promoting growth of the Thai automotive industry, by providing employment, and by earning foreign exchange. Expectations are high regarding the major role this global export hub will play in the future.